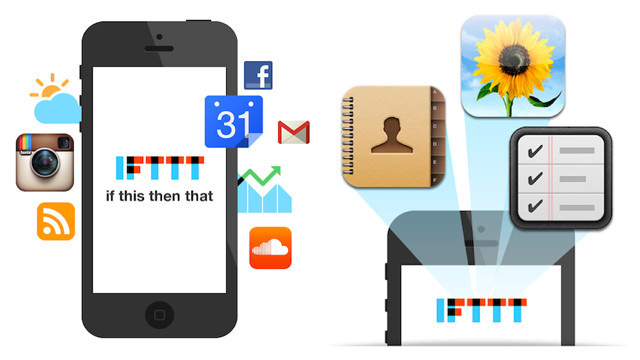 If This Then That, IFTTT, a pretty interesting app that aims at automating your digital life, is now available for iOS users, hoping to automate your mobile life as well. Like the web version, you can create your own “if then” clause and allow the app to do everything else, for instance, “If you take a screenshot on your iPhone, Then have it uploaded to your Google Drive”. The web version has been available for quite some time now, the new channels added for iOS includes Photos, Reminders and Contacts. You can create your own recipes for a whole load of other channels as well including Dropbox, Bitly, Facebook, Google Drive, and even for products such as Belkin’s WeMo Motion, and WeMo Switch. An example for such uses include “If motion is detected, send me an SMS” or “Turn the lights on every time you check in at #home” using Foursquare. Unfortunately though, while this may sound like the perfect app for you lazy people – I am personally using it to upload all my new iOS photos to my SkyDrive since SkyDrive doesn’t provide the automatic uploading feature, the iOS version requires the app to be opened in order for it to work its magic. An Android version is on its way and that will definitely be something great to look forward to. 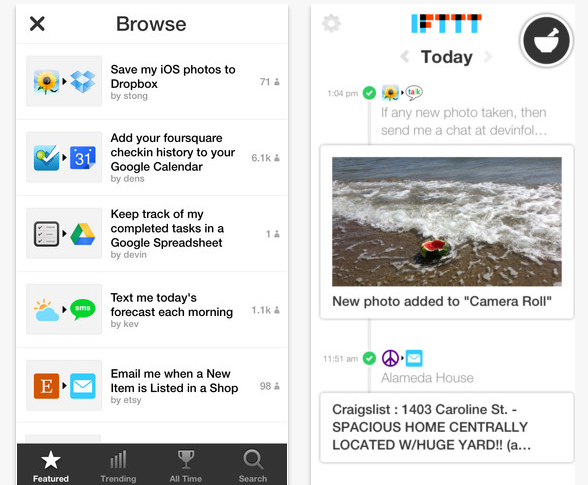 Check out iTunes or visit IFTTT’s webpage to find out more. You can create your own recipes or view what others have shared.